I started to gain weight around age 10, once puberty kicked in. I was happy when I was heavy, but maybe a little TOO happy. I didn’t care what I ate. I didn’t care what size I was, I had a boyfriend who loved me no matter what, I had friends and family who didn’t care that I was over 300 pounds. They all loved me. But I didn’t have any confidence. I wore baggy hoddies, I’d be the one hiding in the back of pictures (but also being 5’10” I didn’t have much choice lol), I always thought that jeans just wore away in the thigh, that it was a normal thing, happens to everyone, right? I worked on the second floor of a building with a very high set of stairs and no elevator, I’d be winded just going to the office every day. What got me to the turning point that I bought a new scale, not sure why, I just did. I had no intention of really doing anything about my weight because I thought it wasn’t THAT bad. I brought it home, stepped on it, and it ready 311 pounds. My jaw dropped. I thought to myself that this had to change. 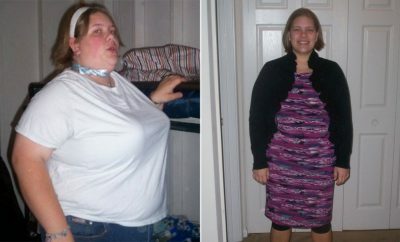 Here I am, 27 years old and I’m over 300 pounds! At first I had NO idea what I was doing. A friend of mine was on these “weight loss shakes” that was supposed help you lose weight. It was one of those plans where you had one for breakfast and lunch. It wasn’t horrible, but i missed real food. I thought to myself, I can’t continue like this.. This is insane. 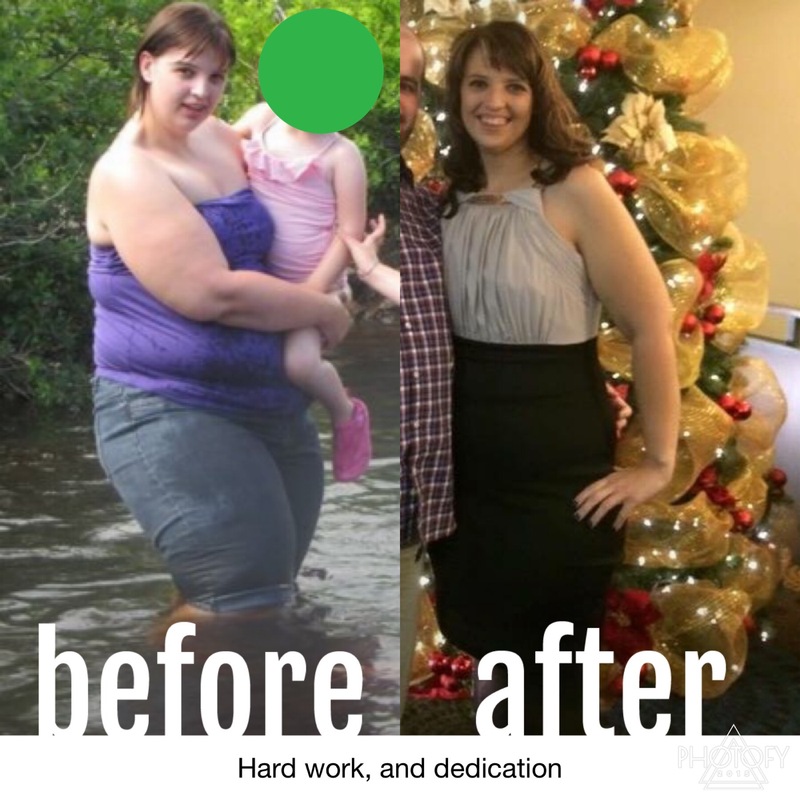 It did help me lose 30 pounds, But I was starving all the time, and the powder that I mixed with the shakes made my stomach hurt so bad. So I stopped them, and just sort of watched what I was doing for a few months, until I started to creep back up on the sale. So that’s when Weight Watchers came into play. 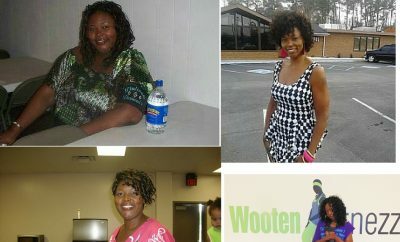 Once I joined Weight Watchers, and really paid attention to my food intake, I started to drop the pounds immediately. I had no motivation. NONE. I hated the THOUGHT of exercising. I just wished I could sit on the couch and the weight would just fall off. But it doesn’t work that way! I didn’t have a ton of money either, we had just purchased our first home, so we were still getting used to all the expenses that came along with that, so the extra money for a gym membership and weight watchers was tough, but my amazing boyfriend knew I needed it, and he stood by me. We made it work. The other challenge that I faced was I LOVED fast food. It was so easy and cheap to just run to McD’s for supper instead of cooking. I’ve wanted to give up SO many times! 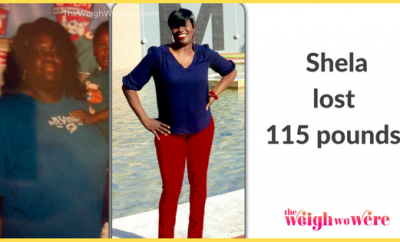 When you start out, and you have 130 pounds to lose, it’s hard to look at the big picture. You focus on being 311 pounds and wanting to be 180 pounds. Seems like it’ll never happen. The main thing that kept me going was taking it 5 pounds at a time. That’s where my major driving force was. If I thought about anything else I would have lost my mind, and given up long ago. Oh yes. About every 10 pounds or so I’ll be stuck for a few weeks. But last year, in 2015, I was stuck in a plateau for 6 long agonizing months. I tried tracking everything, didn’t work. I would work out more, didn’t work. I’d eat less, didn’t work. I’d eat more, workout less, Also didn’t work. I’d try a new workout, Might have lost half a pound, tops. 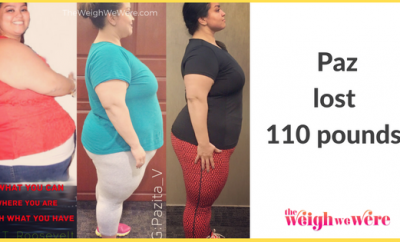 The main thing that helped me get through it was when I discovered the 21 Day Fix. Turns out portion control was one of my biggest issues! The workouts were amazing, and so easy to follow. It’s taken me 3 years to lose almost 100 pounds, My goal is to have the final 31 gone by the end of 2016. I sure do! Going from a size 24 pants to a 14/12. One thing I’ve always wanted was to be able to wear Lululemon pants. I’ve been so jealous of those who could wear them. My legs are the heaviest part of me, always have been, and I could never fit into them. This past summer I bought my FIRST PAIR! I was over the moon happy. My diet now is 90% clean eating, I do enjoy treats now and then. It’s a lot of veggies, lean meats, and fruits. Before it was whatever was fastest and cheapest. Now I realize the power that is in eating clean. Not only does it keep you fuller for longer, you just feel AMAZING! When I was heavier, I hardly even walked my dog. Now, I can do two zumba classes back to back, I’ve done Body Combat, I do the 21 Day Fix every day, I lift weights, I walk the dogs a lot more, I hike, I love just being out and on the go. I’ve even tried other exercise programs, Like TurboFire. I’m more outgoing when it comes to exercise. I’ll try anything! Find exercise that you like. If you’re doing something that you dread, You’ll get no where. You really need to find that type of workout and love what you’re doing. Find a workout buddy. I’m lucky in this sense. I had two of my best friends do zumba with me all the time. Find someone who will also like to do the same exercises as you. Watch what you eat! I can’t stress this enough. Portion control, and clean eating are what saved me. If you have problems with this area, contact a Beachbody Coach (like me or others you may know) and ask for advice. You can eat clean all you want, but if you over do it on portion sizes, even on clean foods, you won’t achieve the goals you’re looking for. Keep yourself accountable. If you’re like me and are extremely organized and you have a daily planner that you use to plan your days, weeks, etc. Put your workouts in your calendar. This way you will feel more inclined to get that workout done! If you’re feeling like you don’t want to work out.. PUSH YOURSELF. You’ll feel amazing after you work out. No one enjoys the first few minutes of a workout, but if you push yourself, you’ll love yourself after.